Election Day is a time when Americans can celebrate hard earned freedoms through the act of voting. The right to vote allows us to express our political will – a right that’s still not widespread in the world. By day’s end we may have filled numerous federal, state, and local offices and decided a lengthy list of initiatives. Sadly, most Americans won’t vote, some out of principle, but most do so out of apathy or disillusionment. While this sentiment is understandable, given the nastiness of many campaigns, it’s disheartening and it ultimately undermines our democracy. As has been the case in recent elections, religion plays a significant role in the political debate. Although many Americans believe that religion and politics don’t mix, many others can’t seem to distinguish them, and so the debate goes on. While history suggests that theocracies don’t work very well, and though an Iran-style theocracy isn’t in America’s future, religion can and does affect elections. Religion’s effect can be good and not so good. I consider it both a civic duty and a sacred obligation to vote. Therefore, when I approach the polls, I do so as a person of faith. But, while my faith influences my voting practice, I try to keep in mind the pluralistic nature of the larger community. Others go to the polls with different faith commitments. I must, then, humbly admit that I’m not in a position to know beyond a reasonable doubt what’s best for the nation. I must give room for the checks and balances of my fellow citizens’ votes. My Christian faith is a significant factor in my decision making, but I must admit that my scriptures don’t always speak clearly to every political issue of the day. The Hebrew Scriptures often speak of a theocratic ideal and tell the story of a largely ineffective monarchy. The teachings of Jesus and Paul are important, but they often don’t speak directly to modern life, and neither of them voted in an election. Romans 13 is the most specific statement on politics, but it was written in the context of a totalitarian regime. When you read this passage it appears that Paul’s advice is to keep your head down and obey the law. But what happens when, as in a democracy, you are the ultimate source of the laws we are to obey? Can you simply keep your head down, or do you have a responsibility to be engaged in the system, as messy as it may be? The major religions of the world differ as to the relationship between religion and politics. For some, religion should support the government, while others believe that it should be an outside critic. Muhammad was both a religious teacher and ruler, as was Moses. Jesus, however, was an itinerant preacher who often said politically provocative things. Buddha withdrew from the ruling elite, but the Dalai Lama is both ruler and teacher. Besides all of these differences, most religions transcend national boundaries, a fact that raises questions of loyalty. Do my loyalties belong with my country or my co-religionists? If my loyalties transcend national borders, then the same is likely true of Muslims, Buddhists, Jews, Hindus, and others, unless of course I worship a national deity – which I don’t. Our coins say, “In God We Trust,” but in whose God do we trust? I’m proud to be an American, but as a Christian, my first loyalty is to God. But then the same is true for others who go to the polls with God having first call on their lives. Recognizing that others will join me in voting while listening for the divine voice, I must listen carefully and critically. And if I understand God’s calling, then my attention should be given to the welfare of the whole – both my fellow American citizens and my fellow citizens of the world. As a religious person I admit that I have dual loyalties. I hope that by recognizing this, I’m better able to keep things in perspective and can grant my fellow citizens the same rights and responsibilities. While the IRS tells me that as a pastor I can’t engage in partisan politics from the pulpit, I do believe I have a responsibility to speak to the important issues of the day from a faith perspective. Believing that voting is a national duty, I always encourage people to vote. I do this, however, hoping that the conscience of the voter is marked by compassion and committed to the well-being of all creation, whether American or not. 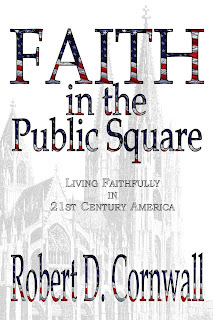 Note: This post is excerpted from my book Faith in the Public Square, (Energion Publications, 2012), pp. 71-73. 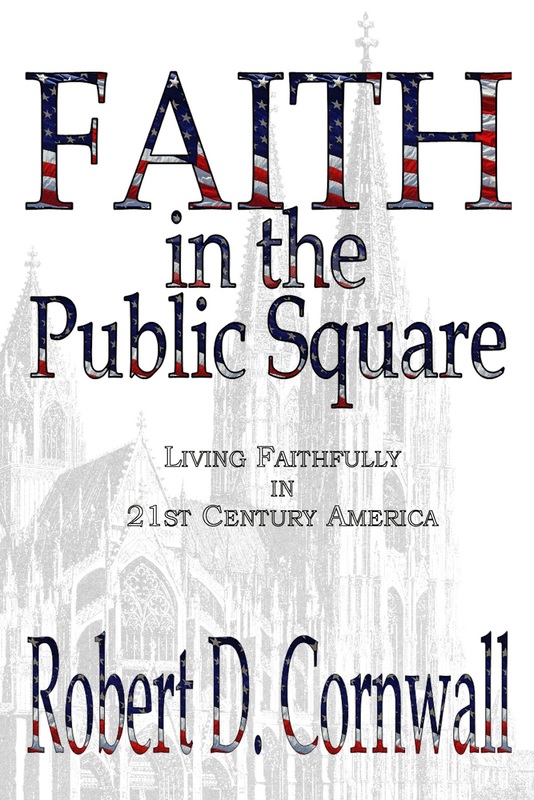 I will be leading a conversation about being persons of faith living in the public square for the Troy-area Interfaith Group on Monday evening (eve of the election), 7:00 PM at Big Beaver United Methodist Church. I'll be joined there by Saeed Khan, Lecturer in Near Eastern Studies at Wayne State University. A lament about this election - and how I will choose for whom I will vote.